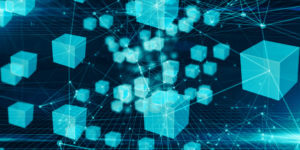 Last year, we asked Michael Wilson of the Automotive Recyclers Association if his organization had considered the technology blockchain, as it seemed to be a solution to recycler concerns over tracking recalled parts. The organization sent back an in-depth response we felt merited publication as a guest column. Blockchain is the new buzz in technology. For those unaware, blockchain is, in a nutshell, just a new form of decentralized database. It’s a real-time ledger of anything that can be recorded such as financial transactions, contracts, physical assets, supply chain information, but there is no one individual or organization in charge of the entire chain. Blockchain technology enables the creation of transaction records that cannot be edited or erased — only appended. In a blockchain, these records are shared with multiple participants in the business network. Participants are typically managed by a peer-to-peer network collectively adhering to a protocol for validating new blocks. In the complex automotive industry with multiple stakeholders involved in the design, production, distribution, marketing, selling, financing and servicing of vehicles, blockchain technology is on the brink of fundamentally changing the way companies conduct business. Within the industry, blockchain provides a path for network participants to record the complete history of a motor vehicle. The life cycle of a vehicle would provide tremendous opportunities to positively address analytics, safety, and quality control issues within the entire automotive supply chain. Under an all-inclusive blockchain system, automotive manufacturers, suppliers, independent operators, parts distributors and other stakeholders would provide needed trust, accountability and transparency to important data tied to a motor vehicle’s specific Vehicle Identification Number (VIN). Consumers, manufacturers, insurance companies and parts suppliers could have access to the history of a motor vehicle stored in a blockchain. Purchases, accidents, maintenance and repairs are all recorded — which parts, which manufacturer, company/individual who replaced and when this activity occurred. This new technology could not be timelier as media and stakeholder scrutiny of weaknesses in the United States automotive safety recall system have increased. Under an efficient and inexpensive blockchain-based system, motor vehicle manufacturers would be empowered to uniquely identify every single part on their vehicles from their production origin. This new capability would enhance consumer safety and save significant time and financial resources in the event of future vehicle or equipment safety recalls. Armed with a system generated by blockchain technology, automakers would have the information available to know which defective vehicle or equipment part was installed on each specific vehicle. Going forward, automotive manufacturers can issue specific vehicle and equipment safety recalls tied to specific VIN numbers instead of issuing blanket recalls for make, model and year. Automakers current practice with limited VIN identification significantly drives up safety recall costs and unnecessarily disrupts the lives of millions of consumers. Utilizing blockchain technology, the automotive manufacturer will be able to address the truly defective motor vehicles at a far lower total cost. Additionally, the technology could even address the rampant issue of counterfeit automotive parts. In September 2017, Chinese e-commerce giant Alibaba expanded their 2014 airbag sale ban to include the listing of airbag components on its platform, citing safety concerns and to prevent the sale of counterfeits. According to media accounts, 22,000 online listings from 700 vendors had already been removed from two of its platforms within the first month, and measures, including data algorithms, are in place to intercept and block future listings. 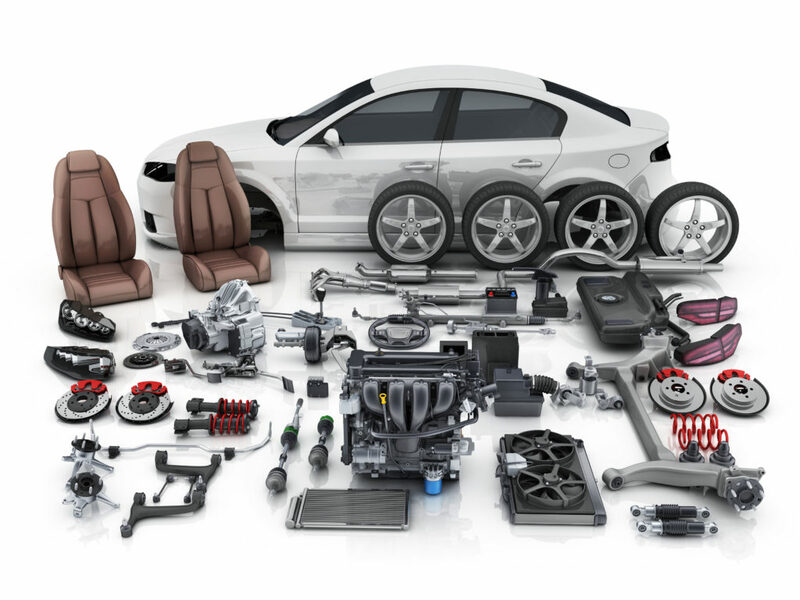 The issue of counterfeit parts continues to be a serious concern for the professional automotive recycling industry because, like the auto manufacturers, ARA members also sell genuine, OEM parts. With other e-commerce platforms implementing policies similar to Alibaba, the recycled, OEM parts marketplace is being unfairly and dramatically disrupted and damaged. Each day, over 500,000 recycled OEM parts that were designed and built to meet the automakers original requirements for fit, finish, durability and safety are sold directly to consumers as well as to automotive repair shops. The presence of counterfeit parts in the marketplace is harmful to automotive recyclers and all other reputable parts suppliers. A blockchain-based system connected with sensors and smart devices would enable stakeholders to know the origin of the automotive parts through every step in the supply chain to its original manufacture date and location. Safety recalls are not unique to the automotive industry. There are products such as food recalls that occur all the time in today’s complex distribution networks. Due to these realities and the need to address them quickly and efficiently, Walmart and IBM have teamed up on two blockchain pilot projects. In 2016, Walmart announced its food quality collaboration with IBM to develop blockchain-powered solutions which will enable consumers to scan quick-response codes on food products with their smart phones, and determine the origins of products in their stores. Walmart successfully validated the use of this technology by being able to successfully follow pork products from one farm owned by Chinese meat producer Jinluo, to a Walmart distribution center in Beijing. Walmart has also run a similar pilot in the United States monitoring mangos from farms to the kitchen table. The results from the pilot projects demonstrate that blockchain technology can be a very valuable feature in identifying contaminated products, as it can provide rapid product recalls — reducing consumers’ exposure to tainted goods. By knowing how and where the food it sells is produced, Walmart is providing new levels of transparency and accountability that are resulting in a safer food environment for consumers. As this new technology advances in the automotive industry, ARA will continue to urge parts suppliers, manufacturers, government regulators, consumer groups and others to all work together to pool collective resources to promote consumer safety while supporting a vibrant and quality parts market. The Automotive Recyclers Association and its affiliates serve about 3,000 members. It has a presence in 12 countries.